When it came time for me to purchase my first computer, I knew for a fact it would be an Apple Macintosh. My earliest exposure to the Apple brand was with an Apple II very early in my youth, and as a kid attending elementary school in the early 1990s I was bound to come across a Macintosh. I credit Apple’s push into the education market as the primary reason I became a fan of the Macintosh platform, as surely any kid would find the Macintosh user interface more appealing than a DOS prompt. Our tale begins with the Macintosh IIsi. The year was 1995, and I was your average kid with a paper route living in a suburb of Vancouver, British Columbia. My family did already own a computer which I enjoyed using, but it was a 486 PC with Microsoft Windows 3.11 and my heart was set on owning a Macintosh. My parents maintained my cash savings from my paper route job, and when it reached the $500 mark I started arrangements to purchase my Macintosh. In those days the World Wide Web was still fairly new so people still needed to rely on newspaper and phone book advertising to find what they were looking for. It’s unlikely I’ll ever remember exactly how I came across this computer store, but my dad and I ended up at PC Galore in the Kitsilano area of Vancouver. With my budget of approximately $500 I wasn’t running into much I could afford. These were the days when a new computer could typically run for several thousand dollars. I recall seeing a Macintosh Plus in the $300 range but the store staff indicated the hard drive had a problem and the unit was currently not available. A nice looking color desktop caught my eye but the price tag attached to it was a bit over $800, so I didn’t want to get my hopes up. I’m not sure if it was my obvious disappointment over not finding a Macintosh within my budget or if my dad was tired of driving me around to used computer stores all day long, but he took a look at the price tag of this computer I found and gave me a “let’s just buy it.” He covered the difference beyond my budget, and with that I became the owner of a Macintosh IIsi. Yeah, I copied that floppy. 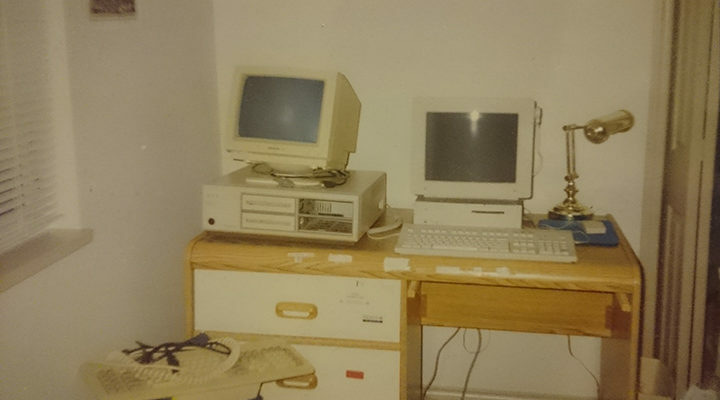 The elementary school I attended had a room of Macintosh Classics and some LC 475s all connected on a Waterloo MacJANET network, with half the room on Ethernet and the other on PhoneNET serial adapters. I had full access to the central file/application servers and could simply drag and drop any software I wanted onto some disks for my new Macintosh. I was a broke kid… What else would you expect? This is essentially how I ended up with applications such as HyperCard, All The Right Type, Oregon Trail and The Incredible Machine on my Macintosh IIsi. I used my Macintosh every day. I still had a limited collection of software and without any sort of Internet connectivity, I had to get creative with finding things to keep me entertained. I recall using the ResEdit utility to dig through the raw data of various files including the core system software, and just for fun I would rename random items such as menu bar names. Not only was I interested in digging deeper into how the Macintosh worked, I also wanted to learn more about PCs and how to develop programs for these machines. 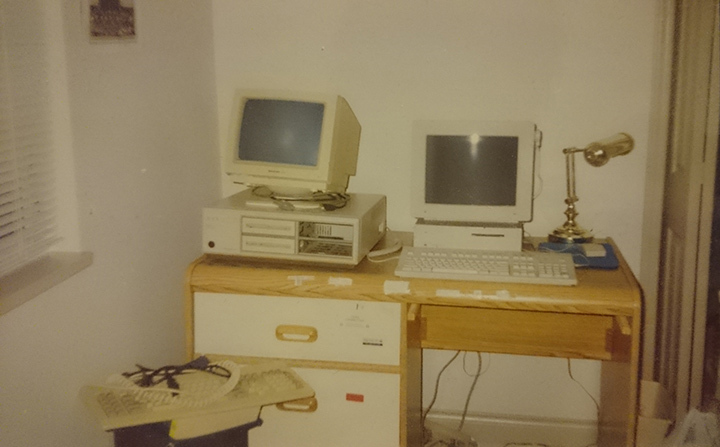 Seen below is an early photo of my Macintosh IIsi along with an old PC XT clone I likely picked up from a friend. 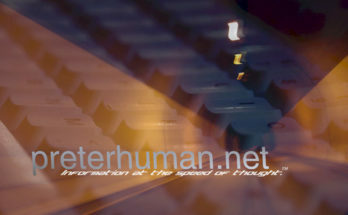 I found myself enjoying my new addiction to the world of computing and was eager to absorb all the information I could. My family did subscribe to a dial-up Internet provider for our 486 PC, but I was extremely curious about finding a way to get my Macintosh onto the Internet. Let’s just say we don’t tend to make the best decisions when we’re young, which is something I found out upon being banned from my school’s computer room after “borrowing” a 14.4kbps modem and trying to get AOL going on my Macintosh. I was more annoyed with how I was caught than the punishment, as I was actually trying to return the modem to the school when they noticed it was missing and conducted bag checks. By this time, I did have a few friends who also owned Macintosh computers and from time to time we would get together and mess around with computer networking and to trade software. I was still on the look out for new software I could load on my Macintosh, but unfortunately the high school I started attending seemed to have budget problems as their most powerful computer appeared to be a 286 running DOS over a Novell network likely using tolken ring. Nothing at all worth copying for my personal use. 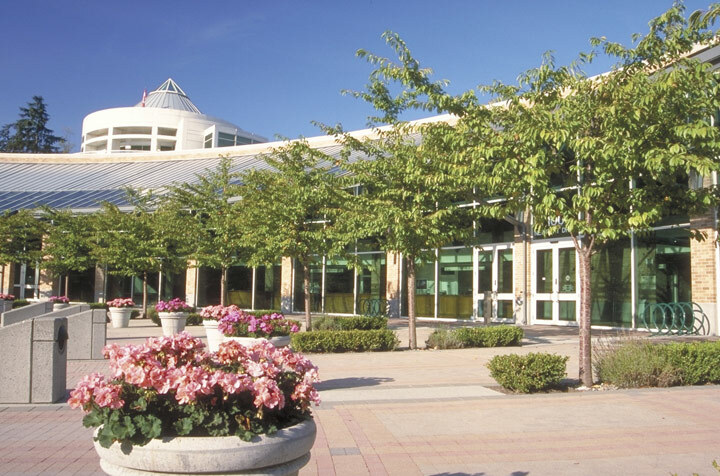 I decided to focus more energy on studying computing subjects and I ended up at the Port Moody public library which wasn’t too far from where I lived. I don’t know what I originally expected to find upon my visit to the local library, but I was pleasantly surprised to find that numerous computer reference books would actually include floppy disks with digital documents or software. This discovery ended up solving one of the oldest problems for Macintosh users; getting an application which extracts compressed archives. You see, Macintosh files contain both a resource fork and a data fork which differs from DOS based systems where there is essentially just the data fork. You can’t download a raw Macintosh application on a PC and copy it to your Macintosh as it would strip the required resource fork. These files must be compressed using a method such as BinHex while they pass through a DOS filesystem, but this means you’d have to already have a compression program on your Macintosh in order to open the archive. This is why I wasn’t able to download software on my family PC and transfer it to my Macintosh, as my computer did not come with an application capable of extracting archives. Fortunately for me all of this changed when I came across a library book with a copy of StuffIt Expander on a floppy disk specifically for people with this problem. With my newfound ability to expand common archive types, I went on a mad rush to hit all the public FTP servers I could find. These generally contained freeware and shareware software, but with seemingly endless quantity. Since I was still limited to 1.4MB floppy disks I needed to get creative with multi-part Zip archives allowing me to transfer even larger software archives. Naturally this all led to my next issue being the need for more hard disk space, as earlier in this article I mentioned only having a 40MB hard disk. In the couple years since the purchase of my Macintosh IIsi, I visited a store called MacStation in Maple Ridge multiple times to pick up an external 40MB hard disk, a 200MB internal hard disk and finally an external CD-ROM drive. This was still the 90s and computer parts weren’t the cheapest to buy so I had to rely on asking for these as holiday gifts. At this point I was still a broke student and I very much wanted to upgrade the system software on the Macintosh beyond the version it originally came with. Version 7.5 of the Macintosh system software added numerous features I wanted to try out, but this software was not free. It just so happens that I read something interesting about how Apple opted to not ship some models of the Performa line with the system software disks as some sort of cost-saving measure. 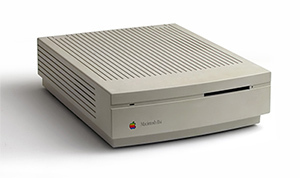 Owners of Performa computers who required copies of the operating system install disks could sent a letter to Apple requesting they be mailed out. Yeah, I exploited this and claimed to be a Performa owner who needed to re-install my system 7.5 software. Looking back on this I do feel a little bad considering the financial state of Apple at the time, but on the other hand I now had system 7.5 on my Macintosh. I like to think of it as a reward for being a true Apple fan… The kind of Apple fan who would make their family take a detour during a vacation to visit the Apple campus for pictures. A big change in my life occurred in 1998 when my family relocated from the Vancouver area to a much smaller city. The day before we moved, I was visiting a friend of mine and he surprised me with a going away gift of a Global Village 28.8kbps modem. That night while I should have been sleeping, I unpacked my Macintosh IIsi and configured my new modem. The dial-up ISP account we used on our family PC was still active, and using that account I was able to connect my Macintosh to the Internet for the first time. That Global VIllage modem ends up playing an important part in my life story. After becoming a resident of Kelowna, British Columbia I managed to meet some fellow Apple fans at my high school and was introduced to a software suite called Hotline. Up until this point my experience with file transfers on the Internet mostly involved FTP or IRC DCC, so seeing this widely popular peer-to-peer software blew my mind. I was already somewhat familiar with the concept of “warez” and trading software, but Hotline made everything much more available with ease. 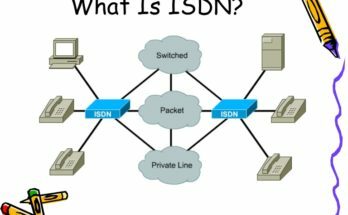 Thousands of Hotline servers out there and you could just jump into any of them and browse the available files, often even letting you download whatever you want without requiring uploads first. I was so hooked on Hotline I managed to afford a dedicated phone line to my room and started running my own Hotline server on my Macintosh IIsi with my Global Village modem. I also had to drop by the local Mac store and buy an Iomega Zip drive to help store all my warez. I was young and the law meant nothing to me. Yet. One of the things I had wanted to try getting into was programming on the Macintosh, but I had almost no real experience in programming languages outside of some BASIC from my DOS days. Luckily there existed a fairly easy to use development platform called REALbasic which let you construct your graphical interface and then code the actions of your objects. This was a commercial product but the demo version still let you do almost everything, with the exception of having an annoying dialog pop-up on your compiled application stating it was made with a demo version of REALbasic. Obviously if I were to try my hand at any serious programming, I couldn’t keep going with just the demo version. While serial numbers and software cracks weren’t overly hard to come across, it was not the case with this software. I did eventually find a serial number someone had published online, and it was at this point I made an even worse decision than simply pirating the software. My Macintosh IIsi was really starting to show its age and I was feeling left behind. Most of my friends had faster computers, and there I was trying to browse websites on a 20MHz Mac with Netscape 3 which would lag on every mouse click. I wanted to raise some funds to buy a faster Mac, and the only asset I had which I figured would carry any potential value was this stolen REALbasic serial number since it was so hard to find in the first place. I used Hotline to advertise the fact I was selling REALbasic serial numbers. It turned out I was quite effective with my advertising and my first customer ended up being the Federal Bureau of Investigation. Apparently word got back to the company behind REALbasic about what I was doing, and this led to them calling the FBI. I managed to make it out of this without any serious trouble, though I did have to call the company’s CEO to apologize and then purchase a legitimate copy of the software. What little money I did have was now spent to fix my mistake, and I continued my life using my Macintosh IIsi as my primary computer. Things did end up getting better as later in my high school years my grandfather purchased a Macintosh Performa 6320 for me as a gift, and I also managed to make enough money off banner advertisements to buy myself a PowerBook Duo 2300. The Performa 6320 became my new primary Macintosh and I retired the IIsi before I graduated high school. From time to time I do consider the “what if’s” about my history with the Macintosh IIsi. What if I ended up settling on a different computer back in 1995? What if I never received that gift modem? Would things still play out the same way? To this day I still run a Hotline server for users of old Macintosh computers to connect and browse files. Perhaps having the Macintosh IIsi as my first computer has had a greater impact on how my life has turned out than I would have expected. Possibly the craziest part is I still own my Macintosh IIsi along with the Global Village modem and the Iomega Zip drive with my original Hotline files. I’m sure I’ll get around to firing it up again someday.